It’s true that you can take beautiful photos with your iPad given its two cameras and great resolution. However, if you want to make your pictures stand out more, you can do so by getting the best photo editors available for your device. 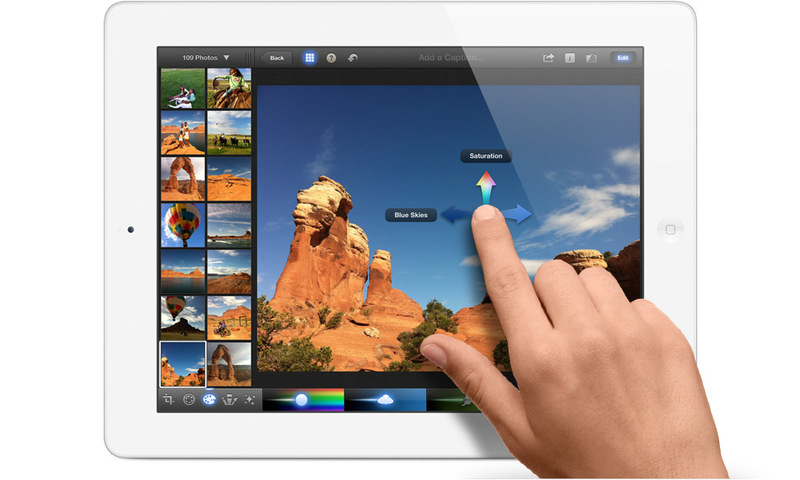 This is practically the very first application that really went on to capitalize the new display resolution of the iPad. This is a powerhouse that comes with a minimalist package. Upon installation, users might think that this is just an application to view images but it actually offers more upon hitting the “Edit” button. The tools of the application are clearly designed to appeal to anyone who wants to get into photography. This allows users to capture their images, edit them and then transmit them all within one app. The best of all is that it only comes with a £3.11 price tag! This is the next best alternative to the iPhoto. It was developed by the veteran developers over at Nik Software. It provides all the classic tools needed to edit pictures but it also comes with other various enhancements that are much more innovative. It has options like the Grunge tool that makes photos look old and can also provide pictures with a wide variety of frames. It is great for beginners because it also comes with a user guide and a sample picture for each tool provided. By the way, it also comes with a £3.11 price tag. Even if this is technically a drawing tool, it can also be used as a great image editor and it somehow looks like Corel’s Painter. It is very much designed to emulate tools like brushes and markers that are great for advanced users who already know what they’re doing. It’s great for editing because it offers a photo montage option as well as a mixed media option that you just can’t find in any other application. Also, it only comes with a £1.24 price tag! Your fingers can be used to manipulate images in a simple manner and with Adobe Photoshop Express this App allows you to use simple gestures to do fun things with your images. These include cropping, fixing red eye and applying filters. There options to a get even more effects and filters with in App purchases further enhancing the usability of this App. Adobe are known for creating the best editing tools in the industry and this application does not disappoint and best of all it is free to download.